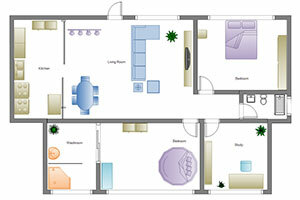 Do you have the need to create 3D dimensional landscapes or floor plans? Do you need to modify an existing floor plan in order to obtain a permit? 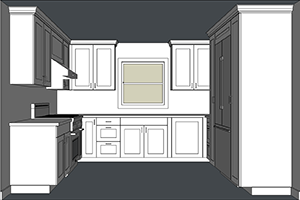 Maybe you are a do-it-yourselfer and want to remodel your kitchen or bathroom. If you fall into anyone of these categories, or just want to explore your creative side, SketchUp is the program for you. SketchUp is a 3D modeling computer program widely used in the design industry. It is used by architects, interior and landscape designers, furniture and cabinet makers, and game designers to name a few. They have started using SketchUp because of its user friendly tools and simplified learning curve. The SketchUp Foundations course takes you through the navigation of the interface and the basic essentials of SketchUp’s extensive toolkit. You will start drawing and designing your ideas with this powerful 3D modeling software program. Manipulating, moving, scaling and rotating objects such as circles, polygon, rectangles and arcs are some of the techniques you will take away. 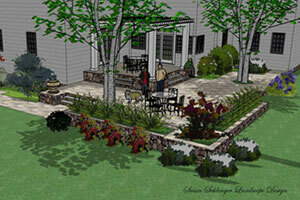 This course is offered as one-on-one training for those who are new to SketchUp. We also offer tutoring packages for those who are already enrolled in a post-secondary course such as Gaia College.